Ugh. Being sick in the spring is no fun. I was finally starting to feel better on Monday and then I woke up Tuesday with a raw throat and scratchy voice. Round two. Growing up, my mom was never sick. I don’t remember once single time. I remember thinking as a kid that moms innately never get sick, like an awesome super power. Wouldn’t that be nice?! 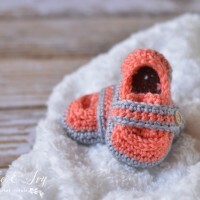 I was determined to get these Crochet Baby Loafers published anyway, and I am hoping my plugged-nose voice in the video tutorial isn’t too annoying. 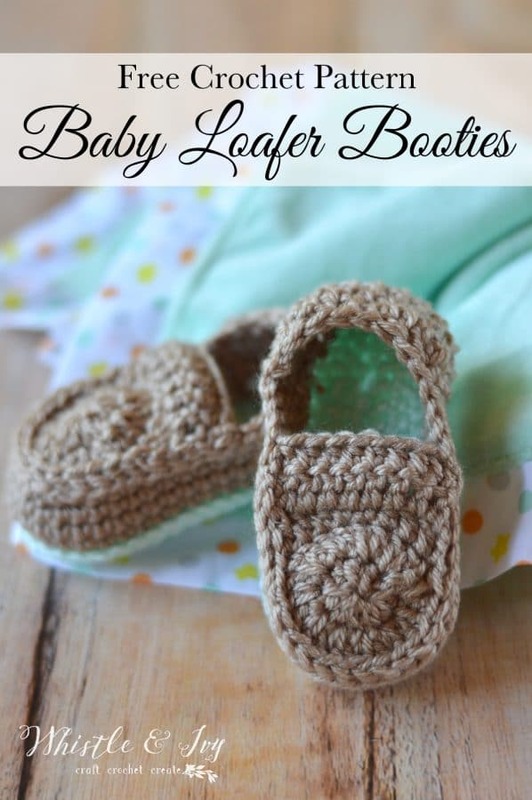 These cute little shoes are the baby version of my Women’s Loafer Slippers, so be sure to make yourself a pair too! 1. Work 4 sc in 2nd ch from hook, sc in next 3 chs, hdc in next ch, dc in next 2 chs, dc 7 in last ch.Working across the opposite side: Dc in next 2 chs, hdc in next ch, sc in next 3 chs. (23 sts) Join with a sl st with the first sc of the round. 5. Ch 1. Sc in each st across. 1. Work 4 sc in 2nd ch from hook, sc in next 4 chs, hdc in next ch, dc in next 4 chs, dc 7 in last ch.Working across the opposite side: Dc in next 4 chs, hdc in next ch, sc in next 4 chs. (29 sts) Join with a sl st with the first sc of the round. 4. Ch 2. Dc in each st across. (8 sts) Turn. 1. Work 4 sc in 2nd ch from hook, sc in next 5 chs, hdc in next ch, dc in next 4 chs, dc 7 in last ch.Working across the opposite side: Dc in next 4 chs, hdc in next ch, sc in next 5 chs. (31 sts) Join with a sl st with the first sc of the round. Weave in all the tails before sewing the tongue. Line up the tongue on the top of the toe of the shoe (larger end). Using the tail, sew a simple running stitch around, going through both layers. To help keep the tongue straight, pin it in place. Weave in the end very well. 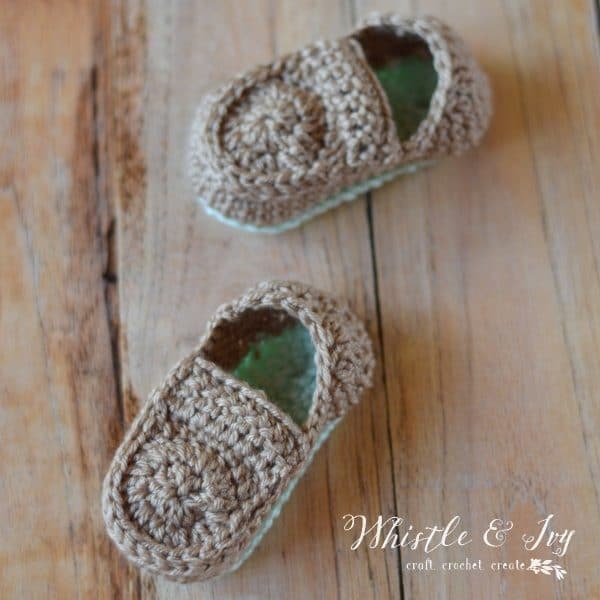 Like these Crochet Baby Loafers ? Subscribe! Which step are you getting off? 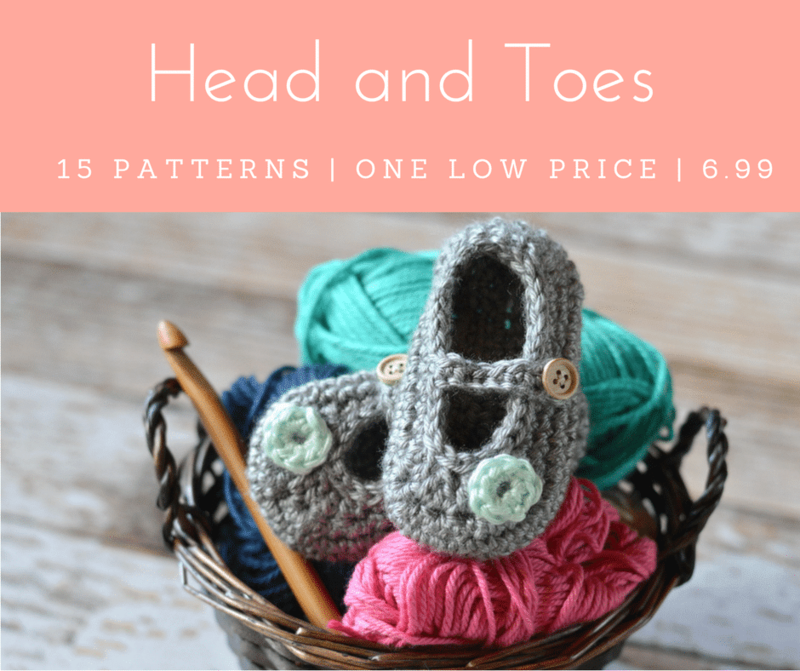 You should be working 5 increases on the toe and 3 on the heel, making your stitch count grow by 8 stitches. Are you working an extra increase perhaps? I think there’s an extra stitch at the beginning of row 3. 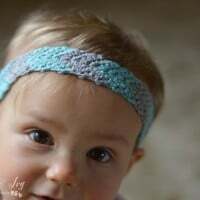 And you have to crochet the first stitch into the same as your chain 1. I had the same problem. 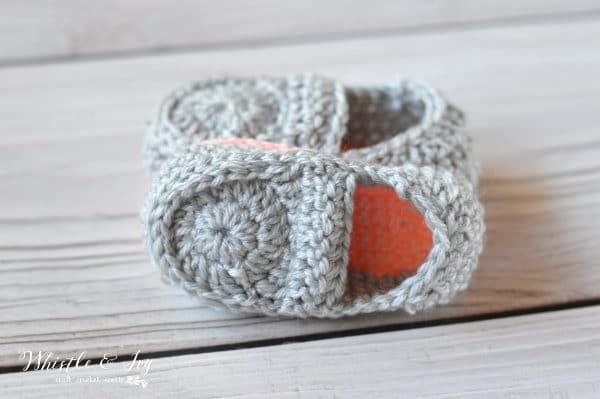 Hi, What is the gauge for this pattern? I see the finished size. Thanks! I used the sole as the gauge. 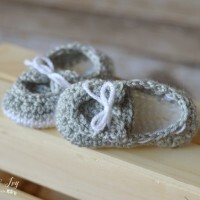 They are so tiny, about the size of gauge swatch, so it cuts down on wasted yarn or wasted time! I must be doing something wrong. Have tried multiple times but my count is never synnetrical. The increases might be confusing you. Did you watch the video tutorial? PS: I wish there was a way to post a pic of the slippers I’ve done in adult, 9 & 5y sizes. Yes! The link is under the stitch abbreviations. 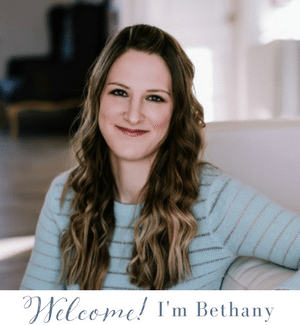 Sorry for the confusion! You will be working *in* the third loop, continue from the join. Be sure to check out the video! Hi thank you for all your beautiful patterns. I need some help adjusting this pattern to fit a 2 year old and a 3 year old please. Thank you. Hello! I don’t have the pattern that size, I am sorry! 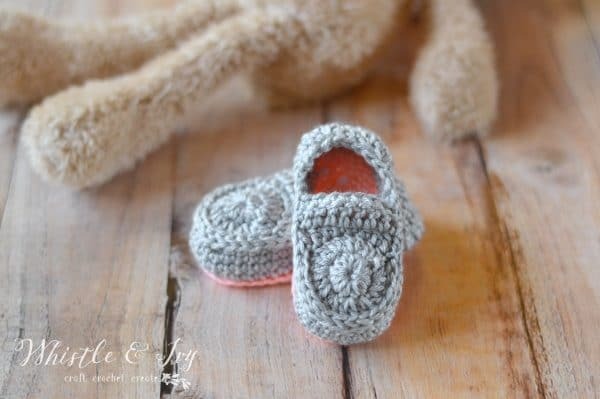 You can use one of my toddler patterns for the sole and make adjustments along the way.